Reid Hoffman was a Marshall Scholar at Oxford University when he decided that he wanted to influence the world on a grand scale. His idea? SocialNet.com, which was about taking people with similar interests (golf, computer programming etc.) and bringing them together. This was in 1997, about a decade before social media really hit its stride. It didn’t last long, but it became the foundation of his most successful venture, a professional networking site that enabled members to create and share personal business profiles which would ultimately help them find new jobs. 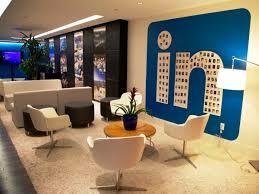 LinkedIn now has hundreds of millions of active members across the world. In the past decade, LinkedIn has become so ubiquitous that you’re much more likely to be able to count the people you know who aren’t on it than the people who are. But, given that LinkedIn – for most people – is at some level fundamentally about seeking out new employment opportunities, what does its huge popularity tell us, in broad strokes, about what people really think about their jobs? To put it another way, does having a LinkedIn profile and being active on the site imply that you’re always keeping an eye out for something better? Should CEOs and other managers be alarmed if they notice that that their direct reports are constantly using it? Well, yes and no. You may well be reading this blog via LinkedIn, and even if not, you have probably been on it recently. So you know that it has a whole range of uses, in terms of networking, new business, getting in touch with people, researching other companies and organizations and so on. What is interesting to note, however, is that according to estimates that have come from LinkedIn, about two thirds of their members are passively looking for new employment. The question is, then, did the technology create the market or was the market already there? Do two thirds of people think they could be doing more interesting work, or be happier, or better paid or more fulfilled somewhere else? Or is this a Silicon Valley solution to a problem nobody had? Doing what we do, we have come to understand that people are passively or actively on the job market for lots of reasons. It’s hard not to feel that at some deep level we are all asking ourselves if we’re happy and if we could be happier. Sometimes people just want to know what they’re worth, or what is achievable for them. Naturally many other people have very good reasons to start looking to progress their career. One of the big HR buzzwords at the moment is ‘engagement’, and some interesting and convincing research has shown that effectiveness at work is a by-product of how engaged people are by their jobs. This probably seems obvious, but the interesting point is that employee engagement is largely to do with management and not the job itself. In other words, if you want to keep people from having half an eye on their next job, from browsing LinkedIn and wondering what’s next over their lunch hour, that is a process within your control. In our next blog, we’re going to look at strategies for optimising this.